This ‘band with a purpose’ is going to sweep you off your feet with their mellifluous music this Thursday live at the Hard Rock Cafe! Friends of Linger is a mixed genre, ‘many faces’ band that has been credited with the first ever English dedication to the LGBTQ community back in 2013. Their recent release – Dignity – has been adopted by the global movement for women – She Decides. Their music ranges from rock to funk to jazz and has interesting attributes of its own. They also never miss an opportunity to add their ‘lingering‘ touch to the covers of Stevie Wonder, Rolling Stone, The Police, Lady Gaga or even Justin Timberlake. 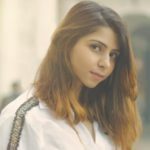 They have been featured in media spaces such as Times of India, Hindustan Times, New Indian Express, www.gaystarnews.com, www.scoopwhoop.com, DNA, www.thewire.in, Rolling Stone as well as Radio One. Don’t miss out on this Thursday Live at Hard Rock Cafe, New Delhi. Let your soul linger with their soulful music!